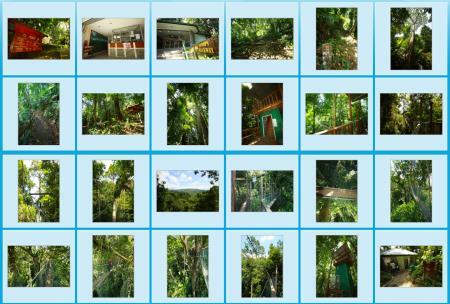 The Rainforest Discovery Center (RDC) is one of the most accessible natural rainforest in Sabah. It sits by a lake at the edge of the Kabili-Sepilok Forest Reserve in Sandakan. RDC has been in operation since 1996 for environmental education purposes. Today, it is a 3-in-1 park (i.e. wildlife, bird and plant) for nature lovers and bird watchers where they can see the unique flora and fauna of Borneo. To students, it’s the best outdoor classroom to learn the rich biodiversity of rainforest ecosystem. Rainforest Discovery Center (RDC) is managed by the Sabah Forestry Department and one of the most popular Environmental Education (EE) centers in Sabah. A pristine lowland dipterocarp and Mangrove forest with astounding 300 species of birds are recorded in the area. The 4,300-hectare Sepilok-Kabili Forest Reserve has gained birders recognition worldwide for its iconic Bornean Bristlehead, Black & Crimson Pitta, Blue-headed Pitta, Giant Pitta, Black Hornbill, Rhinoceros Hornbill and more. Visitors can walk along the trails and become acquainted with green giants such as the mengaris tree, one of the tallest tree in Borneo. Besides soaking up the sight and getting a good workout, visitors can refer to the interpretive panels along the trail, which has descriptions about unique residents of the forest. Giant red flying squirrel (left) and Prevost’s Squirrel (right). Giant Squirrel, which is the largest tree squirrel and almost as big as a cat, is sighted sometimes. Alert the little ones to keep an eye out for darting civets and flying squirrels (which can glide up to 100 Meters)! And lucky visitors have also spotted animals such as the elusive red leaf monkey, gibbon (the fastest moving primate in tree canopy), mouse deer, civet cat and many odd looking insects such as stick insect. 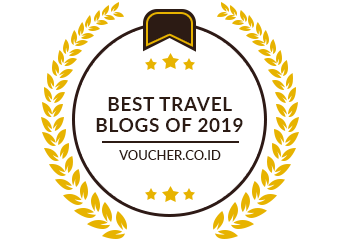 The tree that you must check out is Sepilok Giant, a Yellow Seraya tree (Shorea acatissima), which is about 65 Meters in height, with an estimated age of 800-1,000 years old. Another tree worths a good look is Belian Borneo Ironwood (Eusideroxylon zwageri), the 7th hardest wood in the world. RDC also has a Plant Discovery Garden, which covers about 3 acres of land. This garden will make any botanist smile with its collection of hybrid orchids, arid land plants, aquatic plants, pitcher-plants, economic crops and tropical American plants. There are colourful outdoor interpretive panels with descriptions of all the plants, which makes learning not only easy but also fun. For serious learners, there are just too many local and exotic plants (flowers, herbs, spices, crops) to look at, just to name a few, peach palm, vanilla, tongkat ali, rubber, cassava, cinnamon, fig, and cycad (a living fossil and food of dinosaur). The main attraction of RDC however, is of course the Canopy Walkway. Visitors can climb to the top of the observation towers and take in the breathtaking view from the 347-meter long and 25-meter high steel walkway. The walkway is two meters wide, is very sturdy and can hold the weight of a large crowd. RDC has two towers that are named after the Bristlehead and Trogon and a single-column shelter called the Sunbird. The 40-meter white tree is mengaris tree (Koompassia excelsa), it can grow up to 86 M.
The designers of the canopy walkway made sure that it was not only safe for adults, but also for young children who are at kindergarten-level. To the team at RDC, the younger children exposed to the wonders of Mother Nature, the better appreciation they will have for our rainforest. The top platform of towers is about 17 Meters (56.5 feet) above the ground. Many birds, wildlife, fruits and insects live high on the tree, so these towers provide a great viewing point for bird watching and wildlife sighting. I’ve seen mother orangutan with her baby there before (see video). Bornean Bristlehead normally feeds up in the mid and upper layer of tree canopy, and best seen from Canopy Walkway. You have higher chance of seeing them near Bristlehead and Hornbill Towers in RDC. Canopy Walk of Rainforest Discovery Center. I’m very confident to say RDC has one of the best setup for bird watching in the world. Many trees here are very old and over 50 Meters tall, most of these emergent trees are from the family Dipterocarpaceae, the main timber family of Sabah. During fruiting season, you will see many birds and wildlife coming here for feeding. Due to the tourist-friendly canopy walkway and nearby virgin rainforest where over 300 lowland bird species reside, RDC is really a haven for nature photographers and birdwatchers. RDC is also the most promising spot to see Bornean Bristlehead, the trophy bird species of birders, but you still need some luck. I saw it only once after three visits. Bird watching is the most popular activity at RDC. Bring a binocular so you won’t miss the fun. Many endemic, rare and colorful birds are active around RDC, for example, Bornean Bristlehead, Hornbills, Pittas, Kingfisher (8 species), Trogons, Malkohas, Leafbirds, Minivets, Spiderhunters (6 species), Crested Jay, Red-bearded Bee-eater, Broadbills, Woodpeckers, and Bulbuls. For full list, you may see this Checklist of Birds in Sepilok. Therefore, for visitors who don’t want to travel far, RDC is the best alternative birding sites to Danum Valley and Tabin Wildlife Reserve, the world-class birding sites in Lahad Datu. According to birding community, the 1.9-KM Kingfisher Trail is very productive (many birds). There are many direction signages in the RDC trail network, so you should have no problem to get around. What I really like is – RDC also places many information panels in different spots to inform you what birds, trees and wildlife are (probable) nearby. Inside the forest there are small ponds used by many birds as natural bird bath for bathing and drinking. Most birds only dip their wings to splash water on their backs. Parts of the bath is just about 2 inches deep, just enough for small birds. Keep an eye for Red-eyed Bulbul, Emerald Dove and Hairy-backed Bulbul there. Garden birds such as sunbirds, spiderhunters and flowerpeckers are common too. RDC is the most preferred venue for Borneo Bird Festival, which is usually held in Sep or Oct annually, the best visiting time for bird watchers who are looking forward for exciting activities such as bird race, talks, bird photography contest and exhibition. The main visitor building has an exhibition hall that features the unique flora found in Sabah, plus the various icons in our animal kingdom including the Bornean pygmy elephant, orang utan, proboscis monkey and many more. Visitors can also find information on reptiles and the main groups of birds. The building also has a multi purpose hall, which is often used for talks, screenings and other activities. Besides animals, visitors can browse good collections of plant, fruit, tree and insect specimens in the hall. The information is presented in gallery style, with a lot of beautiful photographs with minimal text, available in English and Malay languages. This Exhibition Hall is air-conditioned, so I love to come here after a long walk under hot sun outside LOL (and for the toilet too). I must say the Exhibition Hall does a very good job in giving visitors an interesting overview of Borneo’s nature. The infrastructure of RDC is quite well-thought, this makes RDC an excellent attraction, as well as a great location to organize mid-scale events. Keruing Cafe of RDC is located at the starting point of Canopy Walk and it serves simple meals and drink. The food tastes so-so. Rainforest Discovery Center (RDC) is open from 8am to 5pm every day, but the trails and canopy walkway close at 8pm, so some visitors can do night walk and evening birding. RDC is a park opens to public, any walk-in visitor can buy a ticket to enter (see ticket prices below). For more information, call +60 89-533780 / 533781, e-mail rdcsepilok@yahoo.com or visit RDC’s official website and Facebook. All proceeds from ticket sales are used to organize environmental education programmes for students, teacher training courses and other environment-related activities. Most wildlife are nocturnal. You may not see a lot of wildlife during daytime in RDC, but a night walk there would probably give you some pleasant surprises. Depend on your luck, you would see civet, moonrat, Malay badger, sleeping birds, glow worm, owls, stick insect, firefly, frog, bearded pig, flying lemur, etc. You hit jackpot if you spot Bornean Tarsier or Slow Loris, the most mysterious primates of Sabah. Known as Ghost Monkey locally, Bornean Tarsier is the smallest primate of Borneo and has huge eyes bigger than its brain. Night Walk is available from Mon to Fri only (conducted between 6pm-8pm), you can register for the walk at ticketing counter (before they close at 5pm). The fee is RM30 (≈USD$8.50) per adult and RM15 (≈USD$4) per child (5-17 years old) for a minimum of 2 hours, RM15/person for each additional hour. A minumum of 4 visitors (but no more than 10) is required to form the night walking group, or you have to pay for the full amount RM120 (≈USD$34). Do bring torch-light (flashlight) and raincoat with you. You can take photos but no camera flash is allowed for small animals. The Rainforest Discovery Center is located at Sepilok, Sandakan, Sabah, about 25 KM to the west of Sandakan City (see Location Map). Public transport to Sepilok is available readily and the journey takes about 45 to 50 minutes one way. You can hire a taxi for a return trip for about RM100 per car (≈USD$28)(negotiable). I strongly recommend you to visit Sepilok Orangutan Rehabilitation Center and Bornean Sun Bear Conservation Center, which are only 2 KM away from RDC. Author: Rozella Mahjhrin is a singer-songwriter from Sabah, Malaysian Borneo (check out her website at rozellamusic.com). She is also the founder of True Complexion, a photography project that challenges the concept of “normal” and “beautiful” in our societies. She also enjoys travelling and writing about it. Poring Canopy Walkway is not for those who have height phobia. The canopy is over 175 Meters long and 41-43 Meters in height, which is higher than a 8-floor building. I wonder if any 9-life cat can survive the fall. Next to Poring Hot Springs, the Canopy Walkway of Poring is the 2nd favorite activity of tourists. The entrance to Poring Canopy Walkway is about 835 Meters away from park entrance. It is open from 9am to 4pm daily. Above: the Ticket Inspection and Registration Counter of Canopy Walk. Please note this is NOT a ticketing counter. If you didn’t buy any ticket, you will have to turn back to buy it at park entrance, or you can buy the 2-in-1 entrance ticket (Canopy Walkway + Butterfly Garden) from Butterfly Farm about 20 Meters away. The entrance fee of Canopy Walkway is RM3 (≈USD0.90) for Malaysian adult, RM5 (≈USD1.50) for foreigner. Add another RM5 (≈USD1.50) camera fee if you bring a camera with you. You can click the signboard picture above for all the fees and detail. After the ticket inspection, you still need to walk 550 Meters on a gravel trail to go to the starting point of the Canopy Walkway. The walk to starting point will take about 30 minutes. Just relax and go slow. It will help if you wear comfortable hiking shoes and carry some water. You better bring your umbrella just in case it rains. Along the way, you will see many trees labeled with species tag. I’m not a botanist, so it’s meaningless to me. The trail is ascending route but it’s not very steep. As I walk under the shade of dense canopy, I didn’t feel tired. After 350 Meters, there is a small shelter (named “Pondok Tagaut”, Pondok means Hut) for you to sit down and rest. There was nobody around. I walked quietly, suddenly I heard girls screaming above. I looked up and saw the canopy walkway. No kidding, it’s really high. Very soon I reached the tower (named “Pondok Manggas”) where the starting point located. The canopy walkway is narrow and only can take 6-people load at a time. The canopy walkway is a suspension bridge constructed with ropes, steel cables and a series of aluminum ladders bolted together. Laced with polyester ropes, the open rungs of ladders are covered with walking plank. Netting enclosed both sides for additional security. The bridge is connected between 3 super-big trees of Borneo rainforest such as Menggaris (species: Kompassia excelsa) and Seraya (Shorea sp). This is the first tree-top platform. 75% of rainforest animals spend their time on forest canopy. Some of them never come to ground, so canopy walkway is great for observing these animals. The tree platform is supposed to be a good spot for bird watching, but I didn’t see much, probably the birds are less active in late morning. The walkway is an elastic structure, so it will bounce and swing when we walk on it. Some find this thrilling, while some think it’s scary. Isn’t it exciting to see tree crowns at your eye-level? This is what it looks like when you are over 40 Meters off the ground. That’s why people with height phobia, hypertension or heart problem are not advised to try this, though it’s a safe activity. It’s the worst nightmare for height phobia. However, I notice that kids enjoy canopy walkway more than adults. Most adults just walk carefully and busy imagining that they would fall. You may click the picture above to see bigger map.